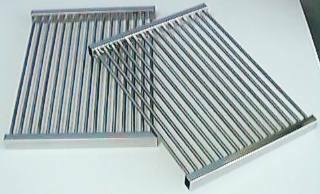 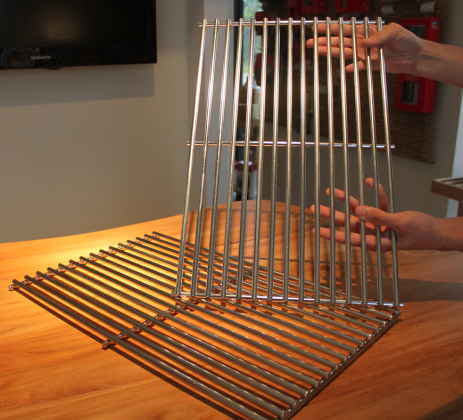 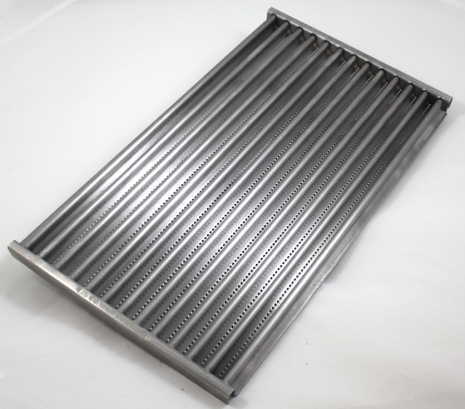 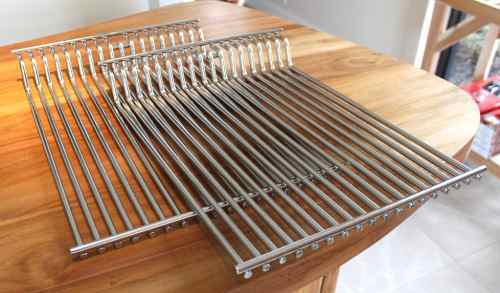 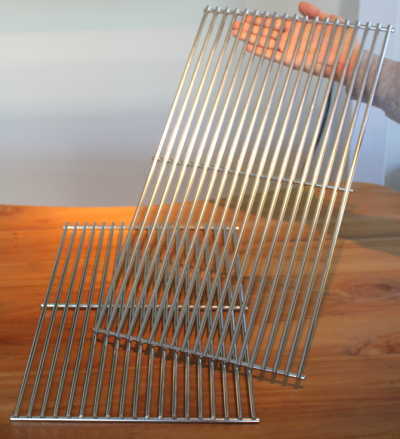 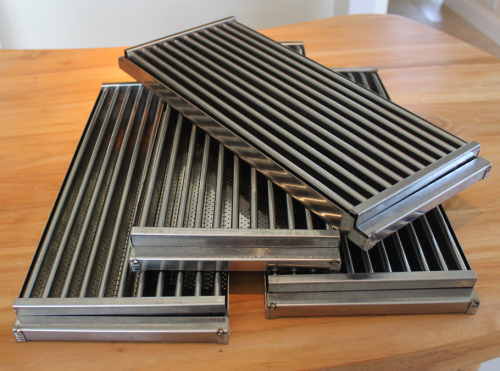 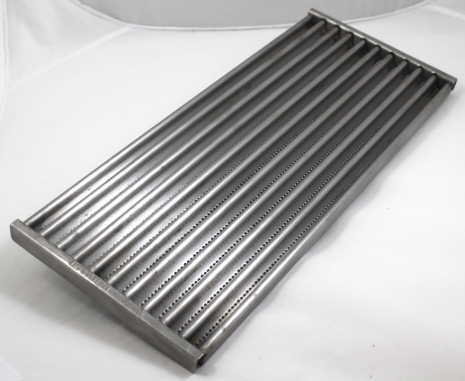 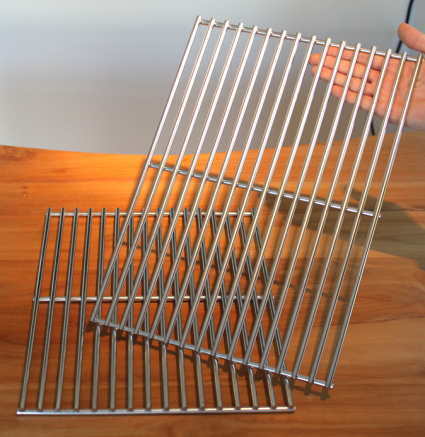 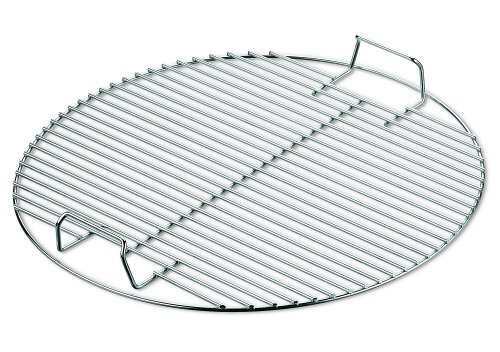 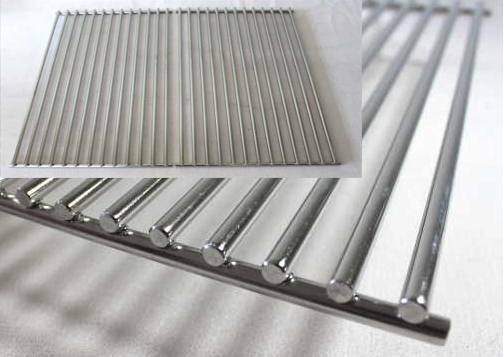 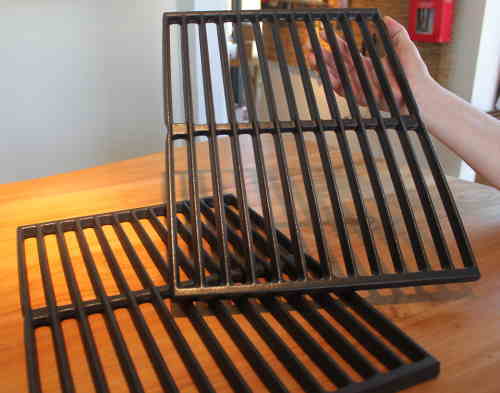 Set of 2 stainless steel cooking grates. 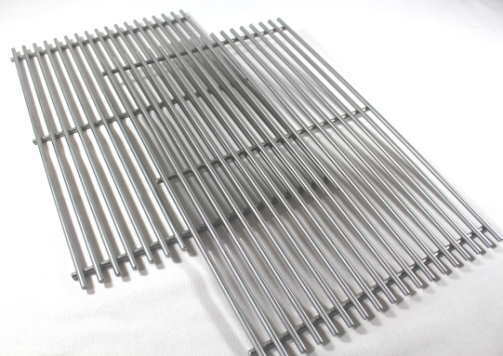 Made of solid 1/4" stainless steel rod. 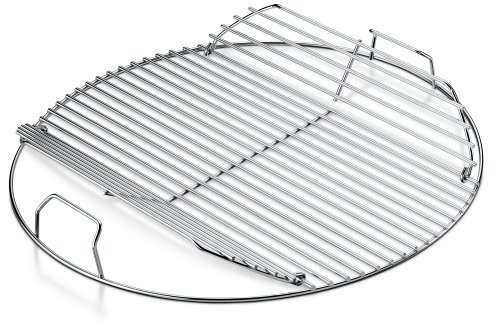 Fits Genesis 300 Series (Model Years 2007-2016) and many other brands/models. 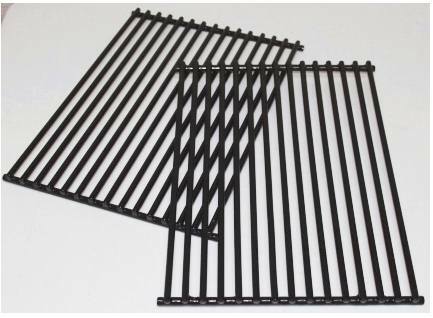 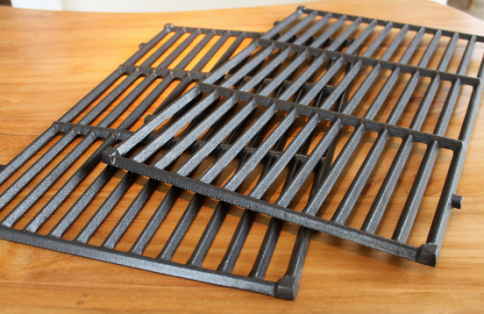 50/50 Split with each grate measuring 19-1/2" front to back X 12-3/4" wide, for a total set width of 25-1/2". 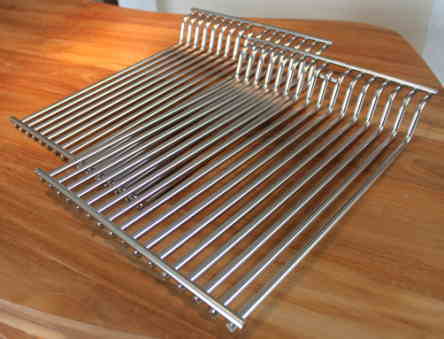 Genuine Weber Part.